Derrick Rose may not have contributed much on the court the past two seasons, but that is not stopping the Chicago Bulls star guard from making his presence felt off the court. Some things are bigger than basketball and the youth of Chicago falls under that category. 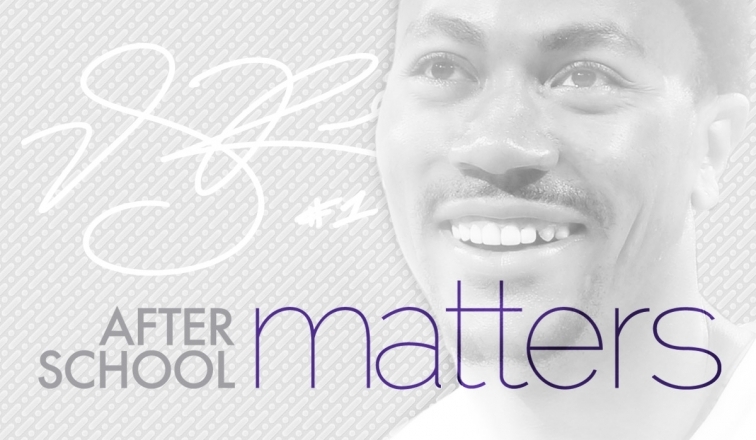 On Tuesday evening, it was announced that D. Rose would be donating $1M to a Chicago area non-profit After School Matters. The program is centered around Chicago teens, providing them with opportunities to grow and learn in every area from performing arts, sciences, technology, and sports. The organization also offers apprenticeships allowing teens to learn firsthand from professionals in an industry of choice. Rose has always seemed like a humble stand up dude and his character has never been questioned. We all just want to see him get back into his MVP form and if the FIBA games are any indication – he is back! Although, that statement has been repeatedly shouted by sports enthusiasts and Bulls fans alike, this year is showing much more promise. Rose received high praises from both Coach Boeheim and Coach K, stating he was the most impressive player on the Team USA roster. If that’s the case, the NBA may be in trouble next season. Only time will tell, but one thing we do know, a healthy season is well deserved.